The monarchs of Saudi Arabia and Bahrain have chosen to send deputies to the US-Gulf Arab summit. With two other leaders too ill to travel, this means only the Qatari and Kuwaiti heads of state will be at the Camp David meeting later this week. 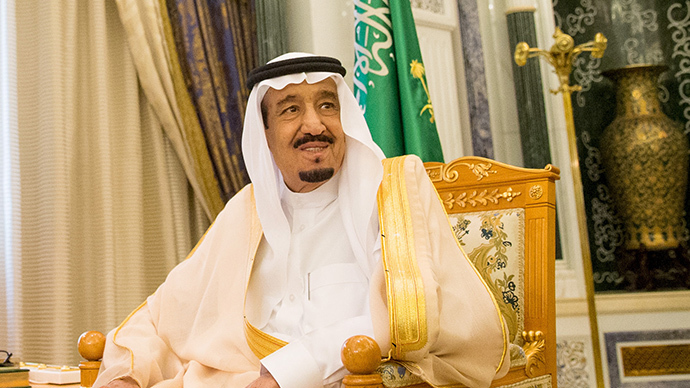 Just hours after the White House announced President Barack Obama would meet with the Saudi king Salman bin Abdulaziz Al Saud, the government in Riyadh clarified on Friday that king Salman would not be showing up in Washington after all. Saudi foreign minister Adel al-Jubeir announced that Crown Prince Mohammed bin Nayef would head the delegation instead. He will be accompanied by the king's son, Deputy Crown Prince Mohammed bin Salman. In a statement from the Saudi Embassy in Washington, Jubeir said the decision was made “due to the timing of the summit, the scheduled humanitarian ceasefire in Yemen and the opening of the King Salman Center for Humanitarian Aid,” according to Reuters. Meanwhile, the island kingdom of Bahrain announced that its delegation would be led by Crown Prince Salman bin Hamad Al Khalifa. Bahrain provides a base for the US Navy’s 5th Fleet, which operates in the Persian Gulf and the Indian Ocean. The ruler of Oman, Sultan Qaboos bin Said, is 74 and rarely travels. Oman is sending the deputy prime minister, Sayyid Fahd bin Mahmoud Al Said, to the meeting. Sheikh Khalifa bin Zayed Al Nahyan, president of the United Arab Emirates, had a stroke in January 2014 and has not been seen in public since. The Emirates will be represented by his half-brother and Abu Dhabi crown prince, Sheikh Mohammed bin Zayed Al Nahyan. Sabah Al Ahmad Al Sabah, the emir of Kuwait has already arrived in Washington, while Sheikh Tamim bin Hamad Al Thani, the emir of Qatar, is on his way. President Obama invited the leaders of the Gulf Cooperation Council (GCC) to the summit after the agreement between Iran and six world powers concerning Tehran’s nuclear program. On the agenda of the meeting, scheduled for Tuesday and Wednesday at the presidential retreat in Camp David, are military cooperation and security assurances to the GCC, as well as the conflicts in Syria and Yemen. The GCC consists of Saudi Arabia, Kuwait, Qatar, the UAE, Bahrain and Oman. The six Sunni-ruled monarchies have reportedly asked for written security assurances from Washington that the US would protect them from Iran. White House spokesman Josh Earnest said the United States was confident that the Saudi officials who were coming would be able to represent their country and implement any decisions made during the meetings, Reuters reported.